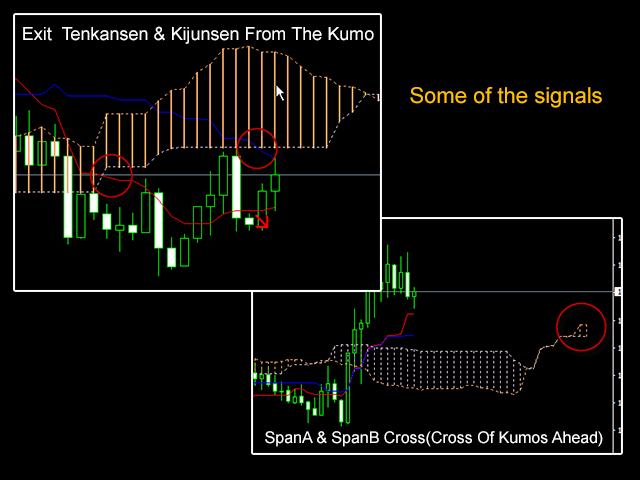 Find Ichimoku signals as easy as you can. 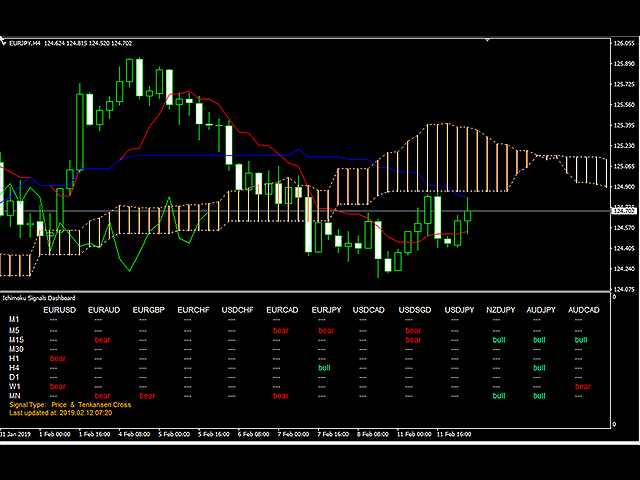 Ichimoku is one of the most powerful trends recognition indicators. 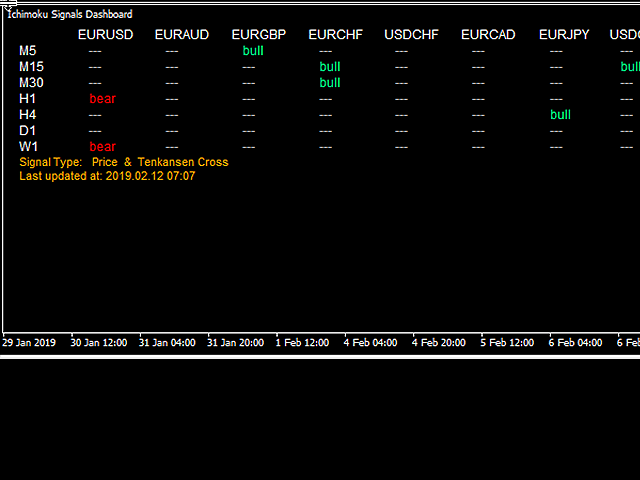 And it has valid signals for the trades. 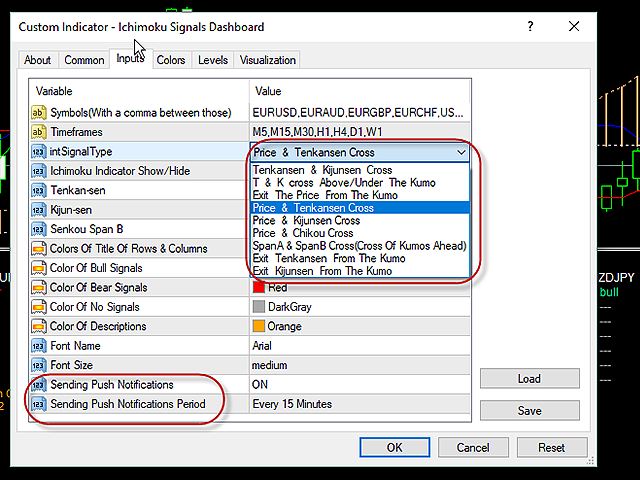 This indicator scans several symbols and time-frames by the Ichimoku to find all the signals that you want and show in a dashboard. It's easy to use, just drag it onto the chart. 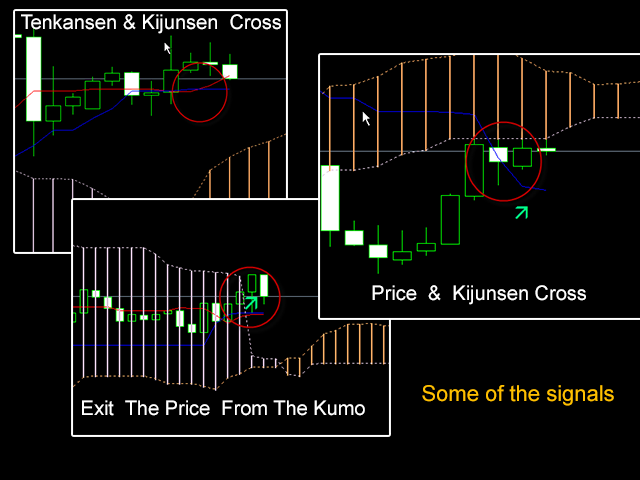 It's better to add Ichimoku indicator to chart before adding this indicator. 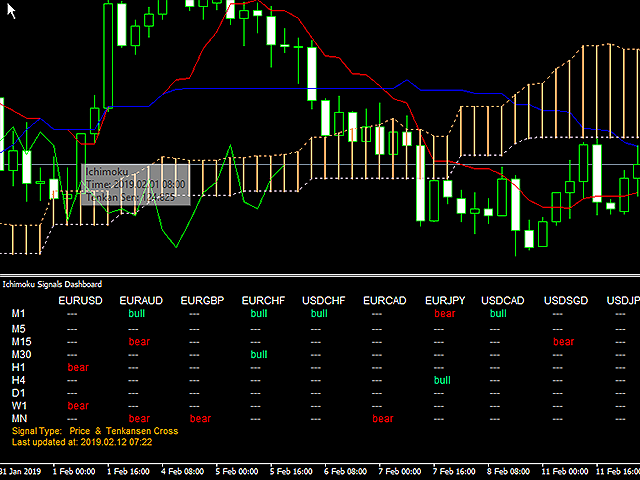 The indicator can detect 9 main Ichimoku signals. By push notification, you can quickly get notified when signals occur. Symbols(separate them by the comma) - Enter symbols and separate them by the comma. Timeframes(separate them by the comma) - Enter time-frames and separate them by the comma. Colors Of Title Of Rows & Columns - To change the color of the header of rows and columns. Font Name - Indicator's Interface font. 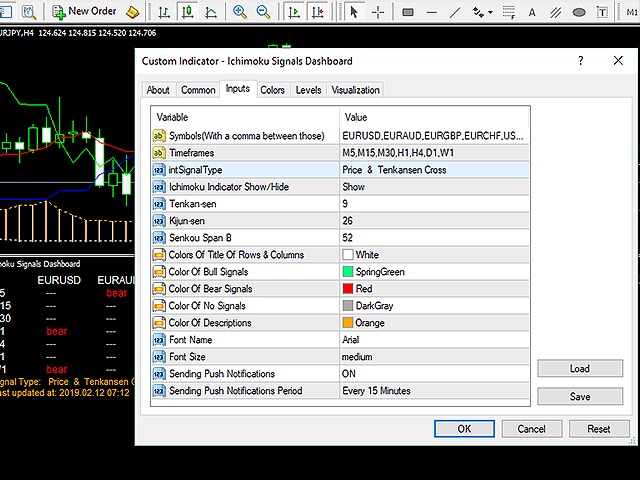 The indicator will always be updated to improve the results and suggestions of users.